If you’ve browsed my Etsy store for more than a few seconds, you may have noticed that haematite is by far my favourite semi-precious stone to work with. 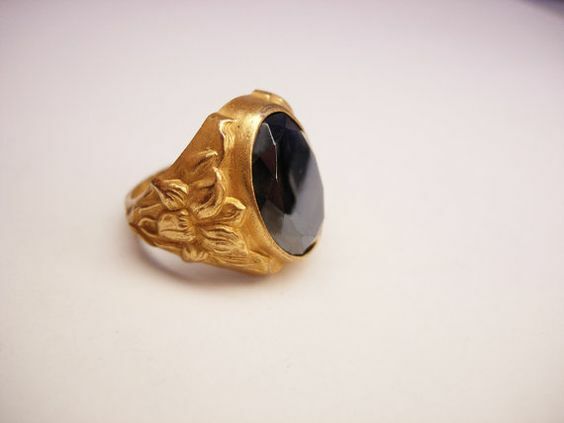 It’s relatively unusual in 21st century jewellery design, gives strength to delicate designs, and evokes centuries of jewellery without seeming dated. 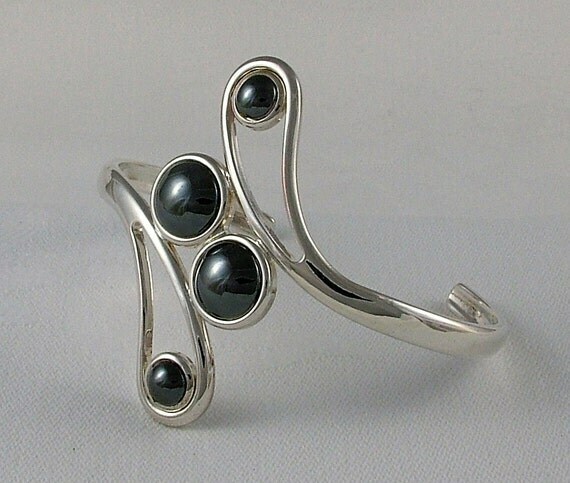 Haematite is also one of the most melodramatic minerals, because it’s formed near rivers, streams and volcanoes, and when polished up it looks like mercury. Oh, and its name comes from the Greek word for ‘blood’ (haema) because inside is a red pigment that has been used to write and draw for thousands of years. The association with blood is also the reason it was so popular with the Ancient Egyptians, carved into amulets and other trinkets. Haematite amulet, c.664-620 BCE. Christie’s. 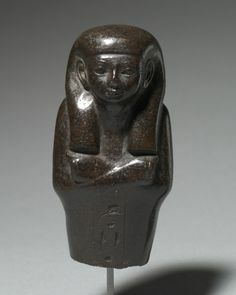 Haematite amulet, c.1859 – 1648 BCE. Cleveland Museum of Art. 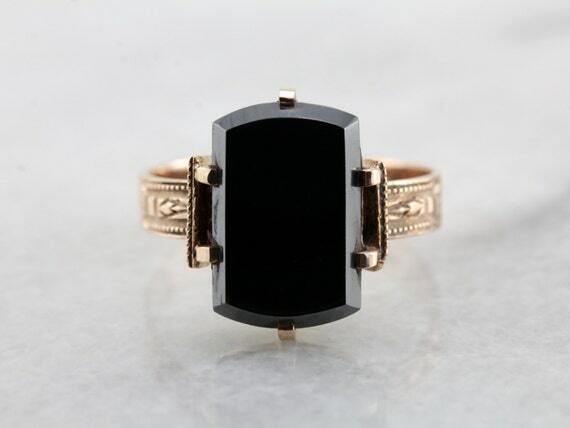 Haematite’s association with blood, and the belief that it soaked up blood and/or formed at the site of battlefields, meant that unpolished haematite remained popular in Egypt through the Byzantine period. 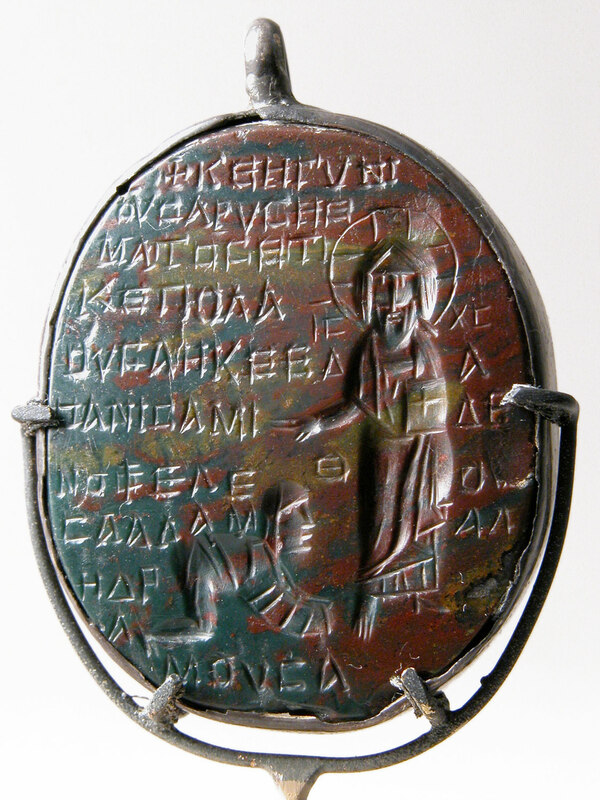 Coptic amulet, 6th – 7th century CE. Metropolitan Museum of Art. 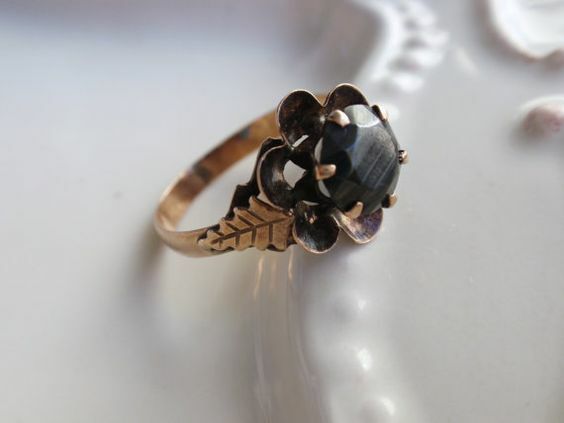 Haematite as we know it today had a major moment in the UK during the Victorian period, where the national fetish for performative mourning hit an all-time high. 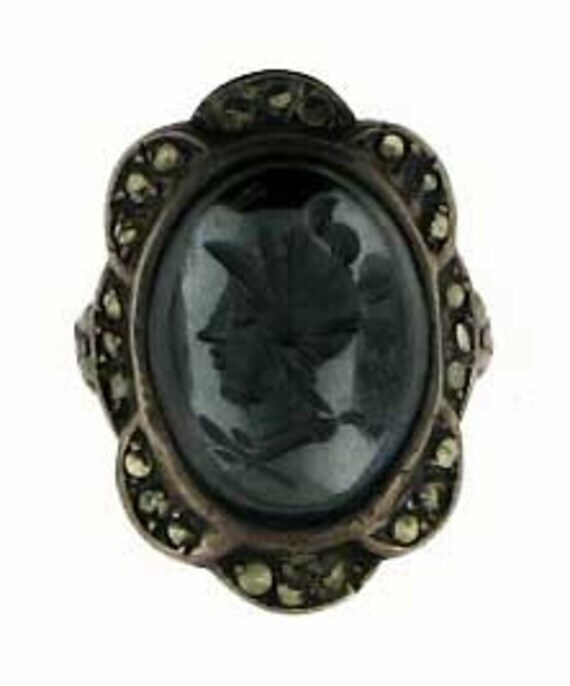 Not only was it a dark, gunmetal grey, it was harder than flaky, black jet and perfect for carving into cameos – the Victorian dream! Unsurprisingly, its popularity in Europe took a bit of a tumble in the inter-war years, finding a niche later in the century once Victorian nostalgia and steampunk became a thing. 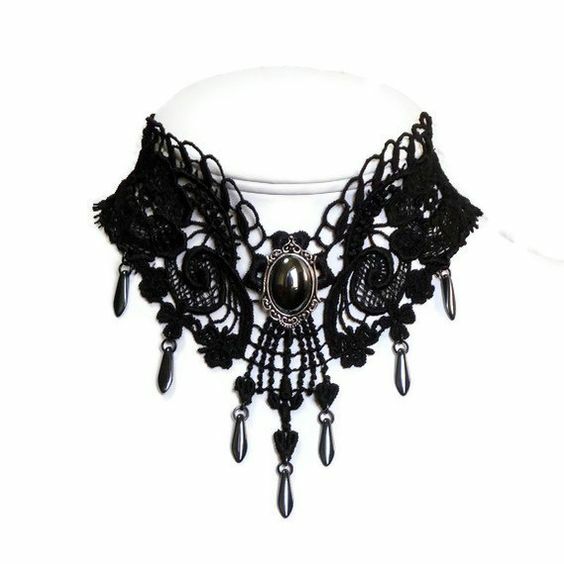 Victorian revival haematite choker, Etsy. I love a good revival, but I think only using haematite in replica pieces is a waste of its potential as a part of modern designs. The lustre of haematite beads really highlights delicate silverwork and emphasises curved lines. 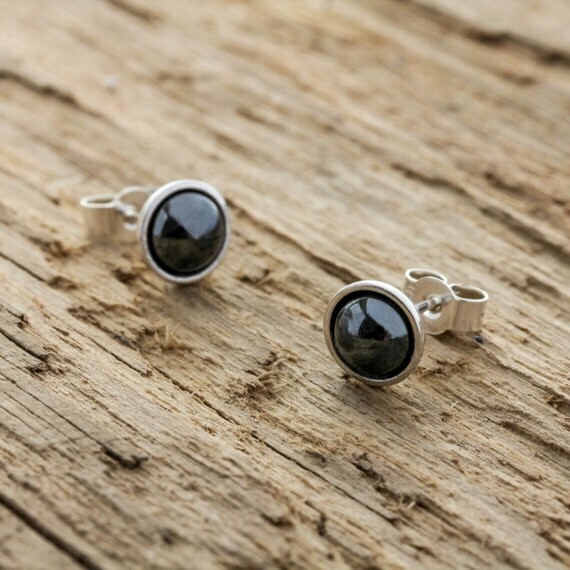 Haematite can get hidden amongst fussy, Victoriana designs, but it pops beautifully in clean, modern settings.